Gary Potter graduated with a BA (Hons) in Law and Criminology from the University of Sheffield in 1999. He obtained his MA (distinction) in International Criminology in 2000 and his PhD ("Weed, Need and Greed: Domestic Marijuana Production and the UK Cannabis Market") in 2007, both at Sheffield, where he also served as a Lecturer from 2003-2004. From 2005-2008 he was a Lecturer in Criminology at Queen's University, Belfast, and from 2008-2015 he served as a Senior Lecturer in Criminology at London South Bank University. He joined Lancaster University Law School as a Senior Lecturer in 2015. 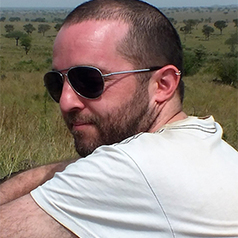 Dr Potter's primary research interests are in the fields of Illegal Drugs (drug use, drug markets, social supply of drugs, cannabis cultivation, links between drugs and crime) and Green Criminology (environmental harm as crime, environmental harm as a cause of crime, environmental protest).